When you book a flight with AIS Airlines you agree to our General Conditions of Carriage for Passengers and Baggage. For easy reading, you can download the full version of the General Conditions of Carriage. Fees charged, where applicable, to the Passenger by the Carrier and/or its Authorised Agent, such as but not limited to in consideration of a modification, reissue or refund of a ticket. The Passenger shall be informed by the Carrier of the amount of applicable administration fees prior to finalization of the reservation. A scheduled stop by the Carrier which is located between the place of departure and the place of destination as shown on the schedule. The code issued by IATA, which identifies each carrier using two or more alphabetical, numerical or alphanumerical characters and that is shown amongst others on the ticket. A passenger sales agent who has been appointed by the Carrier to represent the Carrier in the sale of air carriage tickets. 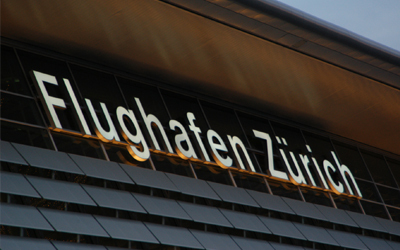 Both checked baggage and unchecked baggage, unless otherwise specified, accompanying the Passenger in connection with his/her journey. The maximum quantity of baggage (in terms of number and/or weight and/or dimensions), if any, determined by the Carrier and with which each Passenger may travel whether or not in return for a payment, depending on fare conditions. That portion of the identification form, issued to the Passenger, relating to the carriage of checked baggage. That portion of the identification form attached to the checked baggage. An Air Carrier whose Airline Designator Code appears on the ticket. Baggage for which the Carrier has taken custody and for which an identification form has been issued. The time limit before which Passengers must have carried out their check-in formalities and received their boarding card, and where applicable, the baggage must have been issued. The declarations and provisions appearing on the ticket, identified as such and incorporating these General Conditions of Carriage as well as notices to Passengers. A flight coupon which bears the name of the Passenger who is to take the flight identified on the coupon and the particular places between which that Passenger is entitled to travel. Includes death, injury to a Passenger, delay, loss, partial loss or other damages of whatsoever nature arising out of or in connection with air carriage or other services performed by the Carrier incidental thereto. The costs for a journey charged to the Passenger, for a specified reservation, corresponding dare conditions, for a given route, and, where applicable for a given date. Extraordinary circumstances which could not have been avoided despite all reasonable care and attention exercised. A tag issued by the Carrier for the sole purpose of identifying checked baggage and that includes a portion that is affixed to the baggage (the baggage tag) and another portion that is issued to the Passenger (baggage check). Fees charged, where applicable, to Passengers by the Carrier or its Authorised Agent, in consideration of issuing a ticket. The amount of the issue fees is determined by the issue of the ticket. One or more documents that the Carrier issues to the Passenger, that confirms the issue of a ticket that bears his/her name, information of the flight and notices to Passengers. Any person, except members of the crew, carried or to be carried and in the possession of a ticket. Any person whose mobility when using transport is reduced due to any physical disability, intellectual disability or impairment, or any other cause of disability, or age, and whose situation needs appropriate attention. Any request for carriage by a Passenger recorded by the Carrier or its Authorised Agent. The list of departure and arrival times for the flights, as shown in the schedule guide published by the Carrier, or under its authority, and brought to the attention of the public by electronic means. The composite unit of currency that is the official unit of exchange of the International Monetary Fund. Information about the current rate of a SDR in the one of the EURO may be found at bank offices. 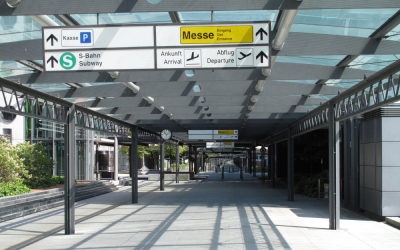 Taxes, fees and charges imposed by governments, other authorities and/or airport operators. A document which may be completed by a baggage check, that is issued or authorised by the Carrier or its Authorised Agent. The ticket evidences the Contract of Carriage, includes the coupon, notices to passengers and incorporates the General Conditions of Carriage. All baggage, other than checked baggage, which remains in the custody of the Passenger. Except as provided in Articles 2.2 and 2.3 below, these General Conditions of Carriage apply to all flights for which the AIS Airlines designator code (IS) appears on the ticket. If carriage is performed pursuant to a charter agreement, these General Conditions of Carriage apply only to the extent they are incorporated by reference or otherwise, in the charter agreement or on the ticket. These General Conditions of Carriage are applicable to the extent that they are not contrary to mandatorily applicable conventions, laws and regulations, in which case, said conventions, laws and regulations shall prevail. Any invalidation of one or more provisions of these General Conditions of Carriage shall not have any effect on the validity of other provisions, except where the Contract of Carriage could not continue to apply without the provision that has been declared invalid and ineffective. Subject to proof of the contrary, the ticket evidences the existence, the conclusion and the content of the Contract of Carriage between the Carrier and the Passenger whose name is shown on the ticket. 3.1.1 Carriage is only provided to the Passenger whose name is shown on the ticket. The Carrier reserves the right to check the identity documents of the Passenger and the Passenger must therefore be able to provide the Carrier with proof of his/her identity, as well as the identity of those for whom he/she is responsible, at any time during their journey. If a person other than the Passenger named on the ticket presents a ticket for carriage or refund purposes, and the Carrier, acting in good faith, carries or refunds the person who presents the ticket and later on it is established that the person is not the Passenger named on the ticket, the Carrier shall not be required to carry or refund the Passenger and the Carrier shall have no obligation or liability whatsoever towards the Passenger. 3.1.3 Tickets, which are sold at discounted fares, may be partially or completely non-changeable and/or non-refundable. It is the Passenger’s responsibility when making the reservation, to consult the conditions applicable to the fare and, when necessary, to take out appropriate insurance to cover the risks associated therewith. 3.1.4 A ticket is and remains at all times the property of the issuing Carrier. 3.1.5 Passengers shall only be carried if they are able to present a valid ticket for the flight concerned. A ticket that is damaged or has been modified by a person other than the Carrier or one of its Authorised Agents shall not be valid for carriage. 3.1.6 In the event of loss of or damage to all or part of the ticket or non-presentation of a ticket, the Carrier shall replace all or part of the ticket on the request of the Passenger. This replacement will be in the form of a newly-issued ticket, provided that when the request is made, the Carrier has evidence that a valid ticket was issued for the flight(s) concerned. The Carrier that reissues the ticket shall charge the Passenger administration fees for reissuing their ticket, unless the loss or damage was due to the negligence of the Carrier, or its Authorised Agent. If no evidence is provided by the Passenger that a valid ticket was issued for the flight(s) concerned, the Carrier reissuing the ticket may require the Passenger to pay the fare including tax of the replacement ticket. This payment will be refunded when the Carrier has proof that the lost or damaged ticket was not used during its validity period or, if, during that same period the Passenger finds the original ticket and submits it to the Carrier, subject to the reasonable administration fees as referred to above. 3.1.7 It is the Passenger’s responsibility to take all measures which are necessary to ensure that the ticket is not lost or stolen. For one year, as from the date of issue thereof. For one year, as from the date of use of the first coupon, provided that such use occurs within one year from the date on which the ticket is issued. 3.2.1 If a Passenger in possession of a valid ticket is unable to travel during the validity period of their ticket solely on the ground that, when the Passenger requests a reservation on a flight, the Carrier is not in a position to confirm the reservation requested by the Passenger either the validity of the ticket is extended or the Passenger is entitled to a refund in accordance with Article 10. 3.2.2 If, after having started the journey, a Passenger is prevented, for health reasons, from continuing such journey during the validity period of the ticket, the Carrier will extend the validity of the ticket until the date on which the Passenger is once again in the position to travel or until the first flight after such date on which space is available, only upon presentation of an appropriate medical certificate stating the health reasons that prevented the Passenger from continuing the journey and provided that these health reasons were not known when the reservation was made. The extension shall only start at the point at which the journey was interrupted and shall be extended for not more than three months from the date shown on the medical certificate submitted. In the same way and subject to compliance with the conditions of proof specified above, the Carrier may, on request, extend the validity of tickets of immediate family members who were accompanying the Passenger at the time such health problems caused the Passenger to discontinue the journey. 3.2.3 In the event of the death of a Passenger during a journey, the ticket(s) of the person(s) accompanying the deceased Passenger shall at written request be changed, either by waiving any minimum stay requirements or by extending the validity period of the ticket(s). In the event of the death of an immediate family member of a Passenger whose journey has started, the validity shall be changed in the same way, after receipt of a valid death certificate. The extension mentioned shall only start at the point at which the journey was interrupted and may not exceed 45 days as from the date of death. If a Passenger has a ticket, as described in Article 3.1.3 above, which they have not used in whole or in part for reasons of force majeure, the Carrier shall provide the Passenger with a credit voucher corresponding to the fare including tax of their non- changeable and/or non- refundable ticket which is valid for one year, to be used for a subsequent journey on the Carrier’s flights and subject to the applicable administration fees, provided that the Passenger informs the Carrier as soon as possible and in any event prior to the date of the flight for such reasons of force majeure and provides proof thereof. The fare including tax applied on the ticket issue date is only valid for a ticket used fully and in the sequential order of flight coupons, for the specified journey and on the specified dates. If a Passenger, for example, does not use the coupons in their issue order this will result in a change of the fare including tax initially paid by the Passenger. In the event of a change the fare will be recalculated and the Passenger may, as a consequence of the recalculation, be required to pay an additional fare equating to the difference between the initial fare and the fare that the Passenger should have paid when the ticket was issued for the journey actually made. In addition, administration fees will be applied where applicable. When that is the case, the Passenger will be informed thereof when such a change is requested. Changes that a Passenger wishes to make are subject to the fare conditions and the payment of the applicable administration fees. The Carrier’s identification may be shown as an abbreviation on the ticket, using the designator code (as defined in Article 1). The Carrier’s address is deemed to be that of any one of its registered offices or the principle place of business. Except as otherwise provided for, fares for tickets apply solely to carriage from the airport of departure to the airport of destination. The fare shall be calculated in accordance with the fares in force on the ticket reservation date, for a journey scheduled on the dates and for the itinerary shown on the ticket. Any change in itinerary or journey date may have an impact on the applicable fare. All taxes, fees and charges imposed by governments, by any other authorities or by the airport operator shall be paid by the Passenger. To the extent possible when making a reservation for a ticket, Passengers will be informed of these taxes, fees and charges, which will be charged in addition to the fare excluding tax and which, in most cases, will be shown separately on the ticket. The taxes, fees and charges may be increased by a government, by another authority or by an airport operator after the ticket reservation date. In this case, the Passenger must pay the corresponding amount. Inversely, if the taxes, fees and charges are reduced or abolished, the Passenger may be refunded for the reduced or abolished amount. The Passenger may be charged issue fees in consideration for issuing a ticket. Issue fees differ depending on the fare, the ticket distribution channel and the type of journey. These issue fees are added to the fare including tax. The issue fees charged by the Carrier, where applicable, are non-refundable, except where a ticket is cancelled due to an error on the part of the Carrier. The Passenger shall be informed of the amount of issue fees that will be charged by the Carrier prior to finalisation of the reservation. All fares, taxes, fees and charges are payable in the currency of the country where the ticket is purchased, unless another currency is specified by the Carrier or its Authorised Agent (for example, due to a local currency not being convertible). If a ticket is cancelled by the customer/Travel Agent, taxes cannot be refunded. Only when a flexible ticket, Y-class is booked, and cancelled prior one hour to departure the ticket is 100% refundable. Reservations will only be confirmed when they are recorded in the Carrier’s computerised reservation system. Upon request, the Carrier shall provide the Passenger with a written reservation confirmation. 5.1.1 Certain fares are subject to conditions that limit or exclude the possibility of modifying or cancelling reservations. For the specific terms please refer to the respective fare conditions. If a Passenger has not paid all amounts due for the ticket before the specified ticketing time limit indicated by the Carrier or its Authorised Agent, the Carrier shall be entitled to cancel the reservation without notice and to allocate the seat to another Passenger, without having any further obligation towards the Passenger who has not paid. The Carrier shall make reasonable efforts to meet the seat allocation requests but cannot guarantee the allocation of a given seat, even if the reservation is confirmed for that seat. 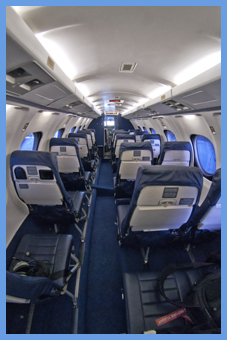 The Carrier reserves the right to change the seat allocation at any time, including after boarding, for operating, security or safety reasons, or for reasons of force majeure. The Carrier may not be held liable if imperatives relating to operating, safety and security reasons or reasons beyond the control of the Carrier do not allow it to provide suitable services, even if such services are confirmed at the time of reservation. Passengers shall provide the Carrier, or its Authorised Agent, with their personal data. Information provided by a Passenger is primarily used for the purposes of: making a reservation, purchasing a ticket, obtaining services (for example services relating to reduced mobility) and being able to contact the Passenger regarding flight information. It may also be used for the purpose of facilitating the completion of administrative formalities relating to immigration and entering a territory, preventing non-payment and combating fraud as well as guaranteeing the security and safety of flights. For the purposes mentioned above, the Passenger authorises the Carrier to transmit his/her personal data to the Carrier’s offices, Authorised Agents, government agencies, other carriers and service providers. Personal data will not be used for marketing activities without the Passenger’s prior permission. It is advisable for a Passenger to inform the Carrier of his/her disability or of any need for special assistance when making a reservation. Should a request for special assistance be made following reservation at least 48 hours before the announced departure time, the Carrier will do everything in its power to fulfil the request pursuant to the applicable regulations, taking particular account of the time frame and the specific nature of the assistance requested. 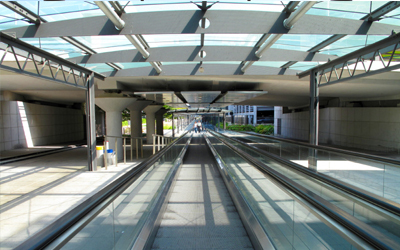 Should a Passenger, when checking in or boarding, require special assistance for which a request has not been made, the Carrier has the right to refuse the Passenger pursuant to Article 7.
special conditions, available from the Carrier, its Authorised Agents and on the AIS Airlines website. 5.6.2 The Carrier reserves the right to require a medical certificate with regard to particular medical conditions. 5.6.3 If the Passenger fails to inform the Carrier of a mental or physical condition and in connection with that condition the Carrier diverts the aeroplane to an unscheduled place of destination, the Carrier is entitled to recover the reasonable costs of the diversion and other related costs from the Passenger, unless in case of force majeure on the side of the Passenger. Passengers must arrive sufficiently in advance of the flight in order to be able to carry out all necessary formalities for their journey; in any event, they must comply with the check-in deadline in order to avoid a reservation being cancelled. The Carrier or its Authorised Agent shall provide Passengers with all requisite information on the check-in deadline for their flight with the Carrier. 6.1.2 Should the Passenger fail to comply with the check-in deadline or should the Passenger not present all the documents allowing him/her to be checked-in and therefore be unable to travel, the Carrier may cancel the Passenger’s reservation without having any further obligation towards the relevant Passenger and without any liability on the part of the Carrier. Passengers must be present at the boarding gate prior to the boarding time specified at check-in. The Carrier shall be entitled to cancel a Passenger’s reservation if the Passenger is not present at the boarding gate at the latest by the boarding time specified to the Passenger without having any further obligation towards the relevant Passenger and without any liability on the part of the Carrier. A. The Carrier in its reasonable discretion determines that such action is necessary in order to comply with any applicable laws, regulations or orders of any state or country to be flown from, into or over. B. Immigration and/or customs authorities and/or any government authority informed the Carrier (either orally or in writing) that the Passenger is not allowed to travel. C. The Passenger has expressed himself in such a way or displayed such behavior that doubt exists with respect to safety and/or the Carrier, its crew and/or ground staff, its aeroplanes/assets and/or property, its services or its Passengers have suffered any damage, either direct or indirect. D. The Passenger’s physical or mental state, including any condition caused by the consumption of alcohol or the use of drugs or medication, could present discomfort, a hazard or risk to themselves, other Passengers, the crew or property. E. The Passenger is or appears to be in the unlawful possession of drugs. F. The Passenger has compromised security, order and/or discipline and the Carrier has reason to believe that such conduct may be repeated. G. The Passenger has refused to undergo the security as outlined in Article 8. H. The Passenger has not complied with the instructions and regulations relating to security and/or safety. I. The Passenger does not appear to be in possession of valid travel documents, may seek or has sought to illegally enter a country through which he may be in transit, or for which he does not have a valid entry document, has destroyed travel documents during the flight, has refused to allow copies thereof to be made and kept by the Carrier, or the Passenger’s travel documents have expired, are incomplete in light of the regulations in force, or appear to be fraudulent or otherwise suspicious (for example identity theft, forgery or counterfeiting of documents). J. The Passenger has refused to provide proof of his identity or is not in the position to provide such proof. Was acquired unlawfully or purchased from an organisation other than the Carrier or its Authorised Agents. L. The Passenger (or the person who paid for the ticket) has not paid the fare including tax in force and/or the applicable issue fees and/or administration fees. M. The Passenger refuses to pay an additional fare, taxes and/or fees under the conditions specified in Article 3. N. The Passenger refuses to pay a surcharge under the conditions specified in Article 8. O. A Passenger benefiting from a fare reduction or a fare that is subject to specific conditions, is unable to provide the supporting documents required for the allocation of this specific fare and refuses to pay the fare readjustment defined in Article 3. P. When checking in or boarding, the Passenger requires special assistance that was not requested when the travel reservation was made or at least 48 hours before the announced departure time of the flight and which the Carrier cannot reasonable provide. Passengers declare that they are fully aware of the content of all of their baggage. Passengers undertake not to leave their baggage unattended from the moment they pack it, not to accept items from another Passenger or from any other person and not to travel with baggage entrusted to them by a third party. 8.1.1 Passengers are advised not to include perishable or fragile items in their baggage. If however the Passenger includes such items or objects in his/her baggage, he/she must ensure that that these items or objects are properly and securely packed and protected in suitable containers in order not to damage these items or objects as well as baggage belonging to other Passengers or the Carrier’s aeroplane. Items that are liable to endanger the aeroplane and/or the persons or property therein, such as those specified in the Dangerous Goods Regulations of the International Civil Aviation Organisation (ICAO) and the International Air Transport Association (IATA) as well as in the Carrier’s regulations. These items include in particular but are not limited to asbestos, explosives, pressurised gas, oxidising, radioactive or magnetised substances, inflammable substances, toxic or corrosive substances, liquids or other substances which are capable of posing a significant risk to health, safety or property when transported by air. Items which in the reasonable opinion of the Carrier are unsuitable for Carriage because of the weight, dimensions, configuration, fragile or perishable nature or unpleasant odour, which make them unsuitable for carriage. Firearms and ammunitions other than those intended for sport which, in order to be accepted as checked baggage, must be unloaded and suitably packed and have the safety catch on. The carriage of ammunition is subject to the ICAO and IATA Dangerous Goods Regulations as stated above. Cutting weapons, stabbing weapons and aerosols that may be used as attack or defence weapons, antique weapons, replica of weapons, swords, knives and other weapons of this type may not be transported in the cabin under any circumstances. They may nevertheless be contained as checked baggage, subject to acceptance by the Carrier. Live animals, except as provided for in the provisions of Article 8.10 and 8.11. Additional information on prohibited or restricted items are available from the Carrier, its Authorised Agents and on the AIS Airlines website. For security and/or safety reasons, and/or on the request of the authorities, the Passenger may be asked to undergo for themselves and/or their baggage, a search or any type of scan. 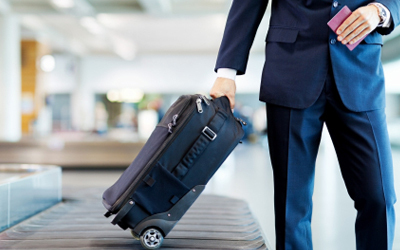 If a Passenger is not available, their baggage may be scanned or searched in their absence, with a view to checking, in particular, whether it contains the items referred to in Article 8.2 above. 8.3.1 If a Passenger refuses to comply with these requests, the Carrier may deny him/her and his/her baggage for carriage. 8.3.2 If the said scans damage the baggage and/or the contents thereof, the Carrier shall not be liable, unless the damage is caused by the Carrier’s and it servant’s or agent’s negligence or wilful misconduct. The Carrier has no obligation to take custody of refused baggage and/or items. baggage if the Passenger has failed to comply with the obligations of Article 8.1 and/or the baggage contains any of the items listed in Article 8.2. 8.4.2 The Carrier may, in particular for security, safety, hygiene and/ or operating reasons, refuse to carry any item that is incompatible with air carriage because of its dimensions, shape, weight, contents, configuration or nature, or refuse to continue to carry them should they be discovered during a journey. 8.4.3 The Carrier may refuse to carry baggage for which the Passenger has refused to pay the surcharge as defined in Article 8.6. 8.4.4 The Carrier may refuse to carry in the hold baggage that has not been handed over by the Passenger to the Carrier prior to the check-in deadline under the conditions defined in Article 6. 8.4.5 The Carrier will not agree to carry animals that do not have the documents required by the applicable regulations such as defined in Article 8.10 and 8.11. The Passenger must hand over their baggage at the Carrier’s check-in desk or at the self service drop off point for the purpose of checking in prior to the check-in deadline. As soon as Passengers have handed over their baggage at check-in, under the aforementioned conditions, the Carrier shall take custody thereof and issue Passengers with a baggage check, for each item of checked baggage. 8.5.1 Passengers must affix their name to their baggage. 8.5.2 The Carrier will try, as much as reasonably possible, to arrange that checked baggage is carried on the same aeroplane as the Passenger. Amongst others, for operating, security and/or safety reasons, the checked baggage may be carried on another flight. In this case, the Carrier will deliver the baggage to the passenger, unless the applicable regulations require the Passenger to be present for a customs inspection. 8.5.4 Checked baggage must be able to withstand normal handling and protect its content. 8.5.5 Passengers are advised not to put in their baggage fragile or perishable items and items having a special value, such as but not limited to money, jewelry, keys, medicine, computers, telephones, cameras, identification documents, business documents, musical instruments and works of art. In this respect, it is specified that in the event of destruction, damage or loss of checked baggage, the Carrier will only be liable to the extent defined in Article 14. Where applicable, according to fare conditions, the baggage allowance corresponds to carriage in the hold of a quantity of baggage per passenger limited in number and/or weight and/or dimensions. 8.6.1 Passengers may travel with checked baggage that exceeds the baggage allowance, subject to the payment of a surcharge. 8.6.2 In all cases, the checked baggage may not exceed a maximum number per passenger. 8.6.3 Passengers can obtain all relevant information about the applicable baggage allowance, the maximum numbers and the surcharge from the Carrier, its Authorized Agent and the AIS Airlines website. For all checked baggage with a value that exceeds the liability limits in the event of destruction, damage, delay or loss, Passengers can either purchase insurance coverage prior to the journey or, when handing over the baggage to the Carrier, make a Special Declaration of Interest limited to a certain amount. In this case, a surcharge made known upon request, must be paid by the Passenger. 8.7.1 All Special Declarations of Interest must be made by the Passenger to the Carrier prior to the check-in deadline. The Carrier may refuse any Special Declaration of Interest if a Passenger does not comply with the aforementioned time limit. 8.7.2 The Carrier reserves the right to verify the adequacy of the value declared with the value of the baggage and the contents thereof. 8.7.3 The Carries also reserves the right to prove, in the event of destruction, damage, delay or loss, that the amount declared was higher than the Passenger’s genuine interest at the time of delivery. 8.7.4 Passengers can obtain all the relevant information regarding this Special Declaration of Interest and the surcharge above from the Carrier, its Authorised Agents or on the AIS Airlines website. Subject to the provisions of Article 8.5.2 it is the responsibility of Passengers to collect their checked baggage as soon as it is made available to them at the place of destination. If a Passenger does not collect baggage within three months from the date that the baggage was made available to them, the Carrier may dispose the baggage, without being liable to the Passenger in any way. 8.8.1 Only the bearer of the baggage check is authorised to collect checked baggage. If a person claiming baggage is not in a position to produce the baggage check, the Carrier shall only hand over the baggage to such person on the condition that he/she established his/her rights thereto in a satisfactory manner. 8.8.2 Receipt of the baggage by the bearer of the baggage check without complaint is evidence that the baggage has been delivered in good condition and in accordance with the Contract of Carriage, subject to proof of the contrary by the Passenger. All tickets allow for carriage in the cabin a quantity of unchecked baggage which is limited by number and/or weight and/or dimension. Should the Carrier be required to check baggage into the hold as a result of a failure on the part of the Passenger to comply with the above conditions, the Passenger may be required, where applicable, to pay a surcharge, as specified in Article 8.6. 8.9.1 Certain baggage which the Passengers wishes to take in the cabin, may, for operational security and/or safety reasons, be denied cabin access and must be carried as checked baggage. 8.9.2 The baggage/items that Passengers do not wish to carry in the hold (for example fragile musical instruments) and that do not comply with the provisions of Article 8.9 above (excess dimensions and/or weight), may only be accepted for cabin carriage if the Carrier has been duly informed thereof by the Passenger prior to check-in and granted authorisation. In this case, the carriage of the baggage may be subject to a charge. 8.9.3 Passengers are responsible for personal effects and unchecked baggage that they take info the cabin. In the event of destruction, damage, theft or loss of personal effects and unchecked baggage, the Carrier may only be held liable if wrongdoing on its part, or that of agents, servants or officials, is proven and then the liability is limited to the amount defined in Article 14. The carriage of animals travelling with Passengers is subject to the Carrier’s prior and explicit acceptance and may be subject to conditions. The carriage of certain categories of animals is prohibited. The number of animals that can be carried is limited per flight and per Passenger. The animal and its container are not included in the baggage allowance, the Passenger must pay a surcharge. 8.10.1 Guide dogs, and if applicable their cages, accompanying Passengers with Reduced Mobility will be carried free of charge, in addition to the applicable baggage allowance, in accordance with the Carrier’s regulations. 8.10.2 Passengers must be able to provide all valid documents relating to their animal, required by the authorities in the departure, transit or arrival state, including in particular passports, health and vaccination certificates and entry or transit permits. The Carrier will not agree to carry animals that do not have the requisite documents. 8.10.3 In the event of fraud or the absence or invalidity of the required documents or if the container intended for carrying the animal does not comply with the provisions of Article 8.10, the Carrier shall not assume any liability for the injury, illness, death, delay or loss of animals carried, as a result of these failures, unless this is solely caused by gross negligence or wilful misconduct of the Carrier. Passengers travelling with animals who fail to comply with the applicable regulations must reimburse all the costs and damage incurred by the Carrier due to such a situation. 8.10.4 The Carrier shall at all times be entitled to set such additional conditions as it deems appropriate in its discretion. 8.10.5 Passengers can obtain all the relevant information regarding the carriage of animals, prohibited animals, conditions and costs from the Carrier, its Authorised Agents and on the AIS Airlines website. Pets and their cages will in no event be accepted in the cabin when exceeding the number, weight and dimensions fixed by the Carrier. Passengers can obtain all the relevant information regarding the carriage of animals in the cabin from the Carrier, its Authorised Agents and on the AIS Airlines website. 8.11.1 Pets must be placed in a leak proof container designed for this purpose, which is closed and fully contains the animal and in which the animal is able to stand up, turn around and breathe easily and freely. 8.11.2 Passengers undertake not to remove pets, even partially from their container for the entire duration of the flight. The flights listed in the schedule indicators are solely intended to inform Passengers of the flights offered by the Carrier. These flights and flight schedules are not binding in any way and thus have no contractual value; they are not definitive and are liable to be changed after their publication date. 9.1.1 On the other hand, the flight schedules printed on the ticket are deemed, subject to changes for reasons beyond the control of the Carrier, to form an integral part of the Contract of Carriage. 9.1.2 It is the Passenger’s responsibility to provide the Carrier with his/her contact details so that he/she can be contacted in the event of a change in the planned flights as they appear on the ticket. If the Carrier makes a significant change to the scheduled flight time, which is not acceptable to the Passenger, the Passenger will be entitled to a refund in accordance with Article 10. The Carrier will take all reasonable measures to avoid a flight delay or cancellation. In the event of a flight delay or cancellation, the Carrier will implement all the provisions of the applicable regulations. Information relating to passenger rights in case of delays and cancellations are available from the Carrier, its Authorised Agents and on the AIS Airlines website. Carry the Passenger at the earliest opportunity on a flight on which space is available without additional charge and, when necessary, extend the validity of the ticket until the first flight on which space is available. Reroute the Passenger, within a reasonable period of time, to the destination shown on the ticket by an alternative Carrier and/or other means of transport. Make a refund in accordance with the provisions of Article 10 and if required by applicable laws a return flight at the earliest opportunity to the Passengers first point of departure. In case of option 1 or 2, the Carrier shall provide the Passenger with assistance (e.g. phone calls, refreshments and accommodation) in reasonable relation to the waiting time caused by the cancellation. 9.2.1 If a Passenger is not notified of a long delay, cancellation or closing down of a route in due time and if the delay, cancellation or closing down is not caused by extraordinary circumstances and/or could have been avoided if all reasonable measures had been taken, the Passenger is entitled to a compensation in accordance with the applicable laws. In the event the Carrier decides to deny boarding the Passenger, due to overbooking or other reasons, with the result that the Carrier is not in a position to offer a seat to the Passenger, even though the Passenger has a confirmed reservation, a valid ticket and has arrived for check-in and boarding in accordance with the required timeframes and conditions, the Carrier shall grant the Passenger compensation in accordance with the applicable regulations. The refund of a ticket, in whole or in part, will take place in accordance with the conditions defined in this Article and in accordance with the ticket fare conditions. 10.1.1 Requests for the refund of a ticket must be submitted to the issuer of the ticket; the Carrier or the Authorised Agent. 10.1.2 If no portion of the ticket has been used the refund will be an amount equal to the fare paid, less any reasonable service charges or cancellation fees. If a portion of the ticket has been used, the refund will be an amount equal to the difference between the fair paid and the applicable fare for travel between the points for which the ticket has been used, less any reasonable service charges or cancellation fees. 10.1.3 All refunds will be subject to government laws, rules, regulations and orders of the country in which the ticket was originally paid and of the country in which the refund is being made. Refunds will normally be made in the manner and the same currency in which the ticket was paid for, but may be made in another currency at the discretion of the Carrier. The refund shall be made either to the person named on the ticket or to the person who has paid for that ticket upon presentation of satisfactory proof of such payment. 10.1.4 If a Passenger loses a ticket or portion thereof, upon payment of a reasonable administration fee, a refund will be made as soon as practicable after the expiry date of the validity period of the ticket, on the condition that the lost ticket or portion thereof has not been used, previously replaced or refunded, except where the use, replacement or refund by or to a third party resulted from the Carrier’s own negligence, and that the person to whom the refund is made undertakes to repay the refunded amount. If the Carrier or the Authorised Agents loose a ticket or portion thereof, the loss shall be their responsibility. For any ticket, if the request is made after the expiry of the ticket’s validity period. For Passengers who did not comply with the conditions as stated in Article 6. For Passengers that are refused carriage by the Carrier pursuant to Article 7. The Carrier may also refuse a refund on a ticket, which has been presented to the Carrier or the government officials as evidence of intention to depart from a country, unless the Passenger establishes to the Carrier’s satisfaction proof that he/she has permission to remain in the country or that he/she will depart from the country by another Carrier or another means of transport. Onboard the aeroplane, Passengers must not behave in a way as to endanger the aeroplane or any person or property therein, not behave in a manner which causes discomfort, inconvenience, damage or injury to passengers and/or crew, not obstruct the crew in the performance of their duties and/or not fail to comply with any instructions of the crew in order to ensure the security and safety of the aeroplane, the smooth running of the flight and the comfort of the passengers. 11.1.1 For security reasons, the Carrier may prohibit or limit the use onboard the aeroplane of electronic devices, such as cellular telephones and laptop computers. 11.1.2 The Carrier may prohibit or limit the consumption of alcohol onboard the aeroplane. Smoking is strictly prohibited onboard the aeroplane. 11.1.3 If a Passenger fails to comply with the provisions of this Article, the Carrier may take all necessary, appropriate and reasonable measures, pursuant to legislative and regulatory provisions, in order to prevent such behavior from continuing. To this end, the Carrier may use restraining measures, disembark the Passenger, refuse onward carriage of the Passenger at any point and/or report the Passenger to local authorities. 11.1.4 The Carrier reserves the right to take legal action against, and claim damage from, Passengers who do not comply with the provisions in this Article or commit a criminal act onboard an aeroplane. If as a result of a Passenger’s behavior the Carrier diverts the aeroplane to an unscheduled place of destination, the Passenger must pay the Carrier the reasonable costs of such diversion. 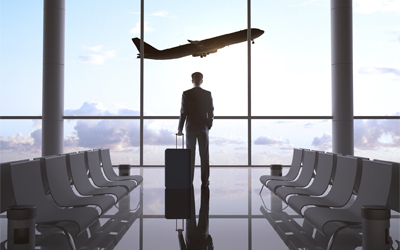 If the Carrier makes arrangements for a Passenger with any third party to provide any services other than carriage by air, or if the Carrier issues a ticket or voucher relating to services other than carriage by air provided by a third party, such as hotel reservations or car rental, the Carrier will only do so as an agent in the name of and for and on behalf of a third party. Under such circumstances the terms and conditions of the third party service provider will apply and the Carrier shall have no liability towards the Passenger. Passengers are required, under their own responsibility, to produce all the specific documents, visas and permits required for the journey, and where applicable for that of their minor children and/or passengers for who they are responsible and/or for animals traveling with them, and must also comply with all provisions of laws, regulations and requirements of the departure, transit and arrival states, as well as with the Carrier’s regulations and the instructions relating thereto. 13.1.1 The Carrier shall not be liable for consequences suffered by Passengers in the event of failure to comply with the obligations referred to in Article 13.1 above. Passengers are required to present entry, transit and exit documents, as well as health and other documents required by the applicable laws, regulations and requirements in the departure, transit and arrival states. Passengers are required to hand over to the Carrier and/or allow the Carrier to make a copy of such documents, if required, or to record information contained therein. 13.2.1 The Carrier reserves the right, in accordance with Article 7, to refuse carriage if a Passenger fails to comply with the applicable laws, regulations and requirements, if the Carrier has doubts as to the validity of the documents presented, or if the Passenger does not permit to take and retain copies of any documents or otherwise retain data contained in the relevant documents. 13.2.2 The Carrier shall not be liable for losses or expenses suffered by Passengers who do not comply with the provisions of this Article. If a Passenger is refused entry into a territory, they must pay all the charges or fines imposed on the Carrier by the local authorities, as well as the fare including tax for carriage if the Carrier, due to government order, is required to return the Passenger to his/her departure location or elsewhere. For reasons of safety and good order the Commander or the escorting police may hold the relevant documents of the Passenger under its custody during the flight to his/her place of departure or elsewhere. If the Carrier has to pay or deposit a fine or penalty or incurs expenses of any kind due to a Passenger’s failure to comply with the laws, regulations and requirements of the countries concerned or due to the failure to present any required document, or the presentation of invalid documents, the Passenger must reimburse the Carrier the amounts paid. For this purpose, the Carrier may use any amount paid to it for non-performed carriage or any amount belonging to the Passenger that is held by the Carrier. Passengers may be required to attend the inspection of their baggage on the request of customs officers or any other government authority. The Carrier shall not be liable for damage or losses suffered by Passengers in the course of such inspection or suffered by Passengers who fail to comply with this requirement. Passengers are required to undergo the security (and safety) checks required by the government or airport authorities, as well as those requested by the Carrier. The Carrier’s liability shall be determined by the Carrier’s General Conditions of Carriage, except as otherwise provided for and brought to the Passenger’s attention. To the extent that the following provisions do not conflict with the other provisions in the General Conditions of Carriage the following will apply. A. The Carrier’s liability is limited to damage that occurred during air carriage for which its designator codes appears on the ticket that corresponds to the flight. B. The Carrier’s liability may not exceed the amount of proven direct damage and the Carrier shall not be liable, in any way, for consequential damage or any form of non compensatory damage. C. The Carrier is not liable for damage that results from compliance by the Carrier with any provisions of the laws, regulations and requirements or a failure to comply with the same provisions by the Passenger. D. If the Carrier proves that the damage was caused by or contributed to the negligence or other wrongful act or omission of the person claiming compensation, the Carrier shall be wholly or partially exonerated from its liability to the extent that such negligence or wrongful act or omission caused or contributed to the damage. E. The Contract of Carriage, including these General Conditions of Carriage and all the liability exclusions or limitations contained therein, shall apply to and benefit the Carrier’s Authorised Agents, its officials, its agents, its representatives, its employees and the owner of the aeroplane used by the Carrier. The overall amount recoverable from the aforementioned persons may not exceed the amount of the Carrier’s liability. The Carrier is liable for damage sustained in the event of death or bodily injury suffered by a Passenger if caused by an accident that occurred onboard the aeroplane or in the course of any embarking or disembarking operations. 14.2.1 The Carrier shall not be liable for any damage if a Passenger is carried whose age or mental or physical condition involves any hazard or risk to himself, provided that the death or bodily injuries are attributable solely to such condition. Such damage was solely caused by negligence or any other wrongful act or omission of the person claiming compensation or the person from whom he/she derives his/her rights. 14.2.2 In the event of death or bodily injury resulting from an aeroplane accident, the relevant person(s) shall benefit from an advance payment to enable them to meet their needs, in proportion to the material damage suffered. This advance shall not be less than the equivalent in euro’s of 16.000 SDR and paid within 15 days. The payment of this advance or any early payment shall not constitute any recognition of liability. The advance payment shall not be refundable unless the person who received the advance payment was not the person entitled to compensation or when the damage was caused or contributed to by the negligence or other wrongful act or omission of the person claiming compensation or the person from whom he/she derives his/her rights. The liability of the Carrier in respect of any damage caused by delay in the carriage by air of passengers shall be limited to 4.694 SDR for each passenger. The liability of the Carrier in respect of any damage caused by delay in the carriage by air of baggage shall be limited to 1.131 SDR for each passenger. The Carrier shall not be liable for damage to baggage where said damage results from the nature of an inherent defect or quality of the baggage. If baggage or property contained therein causes damage to another person or the Carrier, the Passenger must compensate the Carrier for all losses suffered and costs incurred as a result. The Carrier shall have no liability whatsoever for damage to articles not permitted to be contained in checked baggage under Article 8, including fragile or perishable items, items having a special value, such as but not limited to money, jewelry, keys, medicine, computers, telephones, cameras, identification documents, business documents, musical instruments and works of art. The Carrier shall have no liability whatsoever for cosmetic and/or superficial damage caused to baggage as a result of normal wear and tear during the course of carriage. The Carrier’s liability in the event of destruction or loss of or damage to baggage shall be limited to 1.131 SDR per passenger. If the value of the checked baggage is greater than our maximum liability, the Passenger should inform the Carrier at check in or ensure that the checked baggage is fully insured prior to travel. 14.4.1 For unchecked baggage allowed onboard, the Carrier can only be held liable in the event of a proven fault by the Carrier, its servants or agents. The receipt of checked baggage without complaint is evidence that the baggage was delivered and accepted in good condition and in accordance with the Contract of Carriage, unless the Passenger provides proof to the contrary. All missing baggage or any item noted as missing from baggage must be declared to the Carrier as soon as possible. Any late declaration will not be taken into account. 15.1.1 In the event of damage, the person entitled to delivery must complain to the Carrier the discovery of the damage, at the latest within 7 days from the date of receipt in case of checked baggage. In the event of delay, the complaint must be made at the latest within 21 days from the date on which the baggage has been placed at the Passenger’s disposal. Every complaint must be made in writing and given or dispatched within the times aforesaid.